VIP Private Yacht Experience live like a Movie Star for the afternoon and enjoy Gran Canaria´s beautiful beaches and coastline. You can experience this with up to 8 of your family or friends for only €350 for 3 Hours. 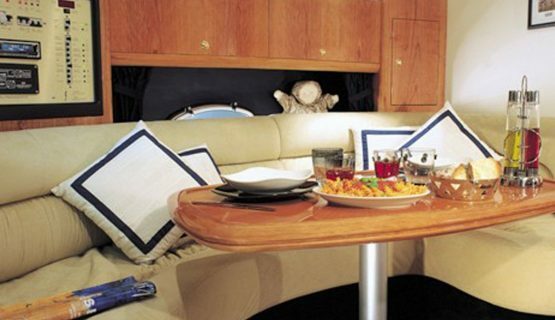 Private Luxurious VIP Yacht & Captan experience at sea. Enjoy beautiful beaches and an exclusive experience with your family or friends. Time slots are twice daily from 10.00 to 13.00 and 14.00- 17.00 the duration of trip is 3 hours. 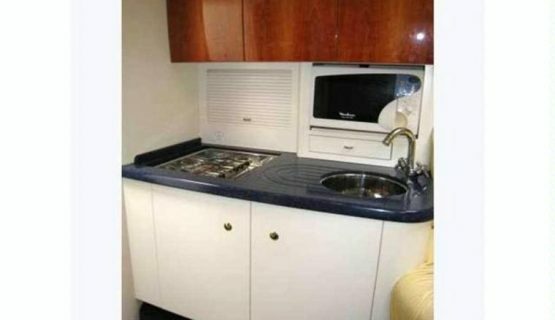 The Yacht can hold a capacity of 8 people plus the captain. Transport is included from your hotel in most resorts in Gran Canaria, including Playa Del Ingles, Puerto Rico, Maspalomas and Meloneres. Sangria, Beer and Soft Drinks are included and also a light lunch sandwiches. You are also free to bring your own desired drinks or food. On-Board the Yacht there is a music system with Radio and MP3 and also you can connect with bluetooth or Audio Cable so you can bring your own Music. After a lunch stop, the Captain cruises further along the coastline and takes you to see the beautiful hidden caves and the secluded beach. You can also use the on board snorkelling equipment to get into the sea and explore the caves. If you have a waterproof camera or GoPro, be sure to bring it along, as you can take stunning photographs of the caves. 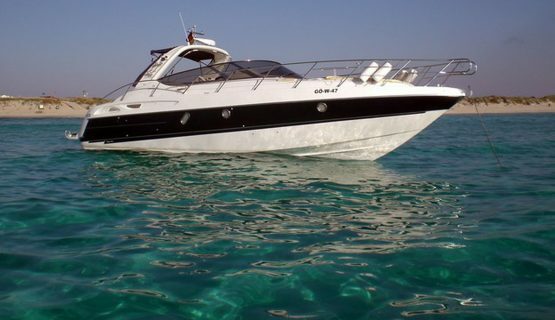 A Private Yacht Charter with your own Captain is a fantastic way to spend the day. It is perfect for Couples, Families, Friends and Corporate Groups. Whether you are celebrating a Birthday,Engagement, a Stag do or a Hen Do, it ticks all the boxes. Maybe you just want to feel like a VIP for the day….this beautiful yacht is perfect for everyone. Private yachts run every day and sail from 10:00-13:00 and 14:00-17:00. Return transport is included from your hotel in most resorts in Gran Canaria, including Playa Del Ingles, Puerto Rico, Maspalomas and Melonares. 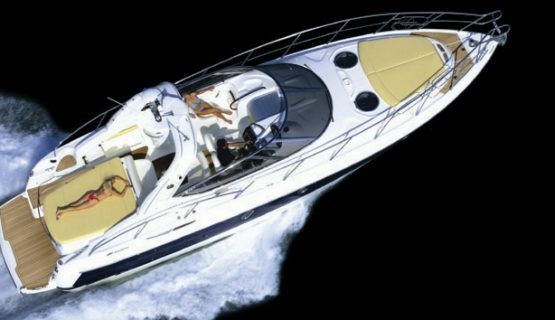 Private yachts are perfect for Couples, Families, Groups of Friends and any kind of celebration, such as Birthday´s, Hen do´s or Stag Do´s or small corporate events. Feel like a VIP, as you cruise the South West coast and use the onboard snorkel equipment to visit beautiful little caves. Sangria, Beer and Soft Drinks are included and also a light lunch. Snorkel equipment is on board and available for your use. Visit secluded beaches and enjoy the coastline on these stunning Miami-style yachts. 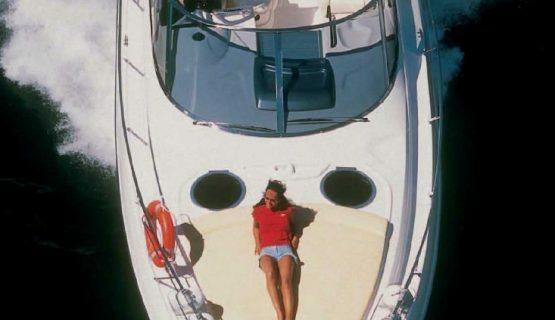 Sunbathe on the front or back of the yacht or chill in the upper or lower lounge areas. After a 3 hour prívate sail, you are returned to your resort with the coach transfer (included). 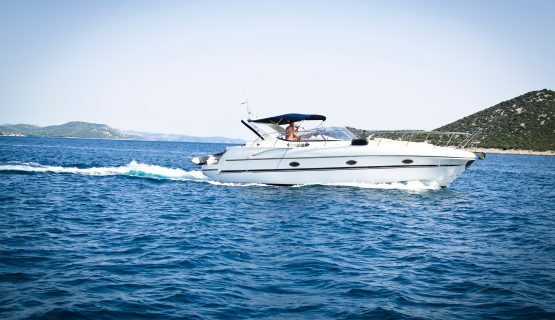 A Private Yacht Charter with your own Captain is a fantastic way to spend the day. It is perfect for Couples, Families, Friends and Corporate Groups. Whether you are celebrating a Birthday,Engagement, a Stag do or a Hen Do, it ticks all the boxes. Maybe you just want to feel like a VIP for the day….this beautiful yacht is perfect for everyone. You are collected from your hotel prior to boarding the yacht, which is included in the trip and taken to Puerto De Mogan. 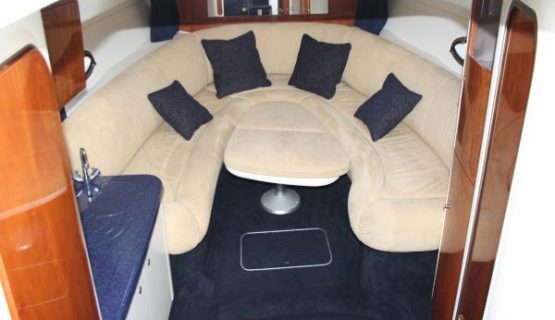 Once on board, you can either sit comfortably in the upper or lower lounge area, or if you prefer, lay comfortably on the front or back of the yacht to make the most of the sun. As you leave the harbour, with only your party and your personal captain on board, you will pass the beautiful coastline of South West Gran Canaria, so take a camera for some wonderful photo opportunities. You can help yourself to drinks. Beer, Sangria and Soft Drinks are included in the trip and are unlimited. If there is anything different that you would like to drink, you are welcome to take these on board with you. After a gentle cruise, the Captain takes you to a secluded spot, where you can jump into the sea, cool off and have a swim. Sandwiches and snacks are served. After a lunch stop, the Captain cruises further along the coastline and takes you to see the beautiful hidden caves. You can also use the on board snorkelling equipment to get into the sea and explore the caves. If you have a waterproof camera or GoPro, be sure to bring it along, as you can take stunning photographs of the caves. It is now time to get back on the yacht and dry off. It is the perfect time to chill in the sunbathing area, in the hot Canarian sun, with a cool drink in your hand. The captain begins the sail back in the direction of Puerto De Mogan. Once back at the harbour, you are safely returned to your hotel by the inclusive coach transfer, hopefully having made some fantastic memories of an amazing day and having taken stunning photographs of the Gran Canaria coastline! Click Book Now select your desired day and time slot and reserve. The Remaining Balance of €245 to be paid on the day.